I Am A Very Organized Person-Or I Try To Be But We Can Always Use A Little Help Sometimes! I Don't Have A Huge Kitchen With A Lot Of Cabinet Space So It's Very Important To Me To Keep My Cabinets & Counter Tops Organized & Free Of Clutter. I Was Sent A Variety Set Of Mr Lid Food Storage Container's & I Immediately Put Them To Use! I Tossed My Previous Food Storage Items That Took Up Cabinet Space & Time Trying To Find The Right Lid That Fit That Specific Container! 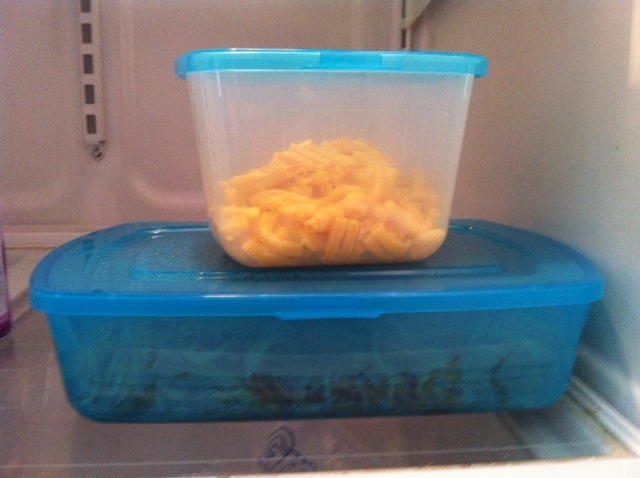 Mr Lid Storage Container's Are Stackable, Space Saving, BPA Free, Microwave & Dishwasher Safe! They Are Available In Sizes Like 8oz, 16oz, 32oz, 96oz & A 48oz With A Built In Condiment Cup! All Storage Containers Have A Patented Attached Lid Design With A Quick & Easy Seal! Mr Lid Containers Are Great For Storing Pet Food, Organizing Toys & Supplies! What Would You Store With Your Mr Lid Containers? Buy It: Visit Mr Lid & Purchase Your Own Storage Container's! Big Thanks To Janessa From Thrifty Nifty Mommy For Sharing Mr Lid With Me! Be Sure To Enter The Joint Rafflecopter Below! We would probably use them mostly for lunches. Leftovers - specifically the ravioli we need to always have ready for my obsessed toddler!